On Friday (9th Feb), the 2018 Carnaval kicked off in its usual exuberant style! Brazil’s annual carnival is the world’s biggest celebration, with millions of people out on the street dancing, singing, drinking and eating for the five days before the start of Lent. 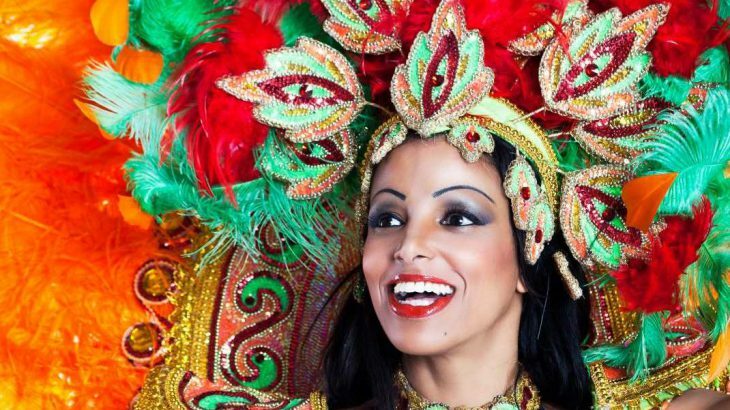 Centred around the irresistible beats of samba music, carnival differs from city to city and from region to region, but the concept remains the same – party like you’ve never partied before! So, what’s Carnaval all about? Carnaval starts on the Friday evening before Lent and ends at midday on Ash Wednesday, the official start of Lent. The celebrations started in the early 1800s and seem to stem from the Portuguese tradition of indulging in the days leading up to Lent, a time of abstinence for Roman Catholics, as well as taking direction from the masquerade festivals of Italy. It was in the early 20th century that carnival became more like what we know and love today, with the religious element played down and a strong African influence coming into play, particularly in the form of samba music. In Brazil’s big cities such as Rio and Sao Paulo, Carnaval is ruled by the famous samba schools, neighbourhoods or groups of neighbourhoods who come together to celebrate. Each school has huge, spectacular floats and outrageous costumes and present their own music and dance as part of a parade. These cities also have a ‘Sambadrome’, an exhibition centre in which the samba schools parade competitively. In smaller cities there are organised parades by groups – with these, everyone can join in the dancing and singing. Everywhere has ‘blocos’ and ‘bandas’, a street party in a neighbourhood or city block, with music, dancing and a very festive atmosphere. Where’s the best place enjoy Carnaval? 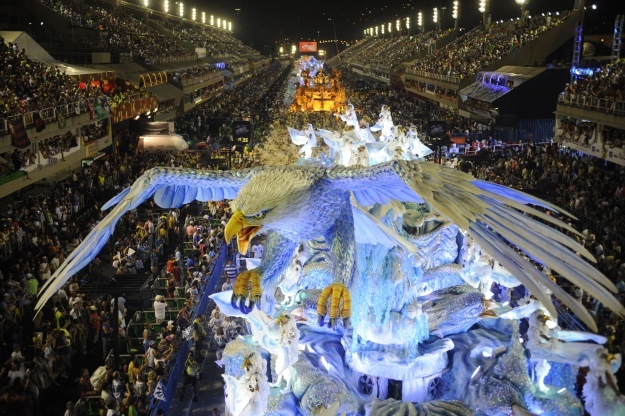 Rio’s Carnaval is not only the most famous and biggest carnaval in Brazil but, according to the Guinness Book of World Records, it’s the biggest carnaval in the world! You need a ticket to watch the samba school competition in the Sambadrome Marquês de Sapucaí, but the street party outside the Sambadrome is just as big! The largest street party is in Centro, in Cinelandia Square, whilst at least 300 bandas take place across the city, the biggest, wildest and most famous taking place at Ipanema. Rio also hosts a series of carnaval balls, as an extravagant, sometimes sophisticated, sometimes wild, alternative to the street parties. In the northeastern state of Bahia, you’ll find the crowds partying to a different type of music than the celebrations further south. In Bahia, as well as samba, there is also samba-reggae and axé, both of which are a fusion of Afro-Caribbean. The best place to enjoy Bahia’s festivities is in the coastal city of Salvador where, happily, carnival starts a day earlier. 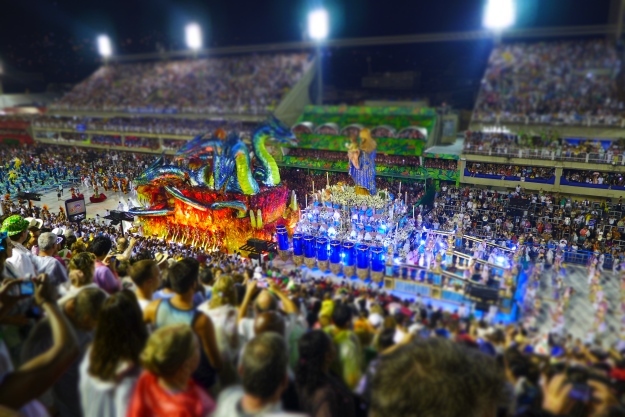 Join the locals on the Campo Grande or Barra-Ondina where you can watch the ‘trio eletrico’ (similar to floats but with huge sound systems) parades and dance along to lots of bands playing songs from local genres. For reggae music, head to a Blocos Afro, a great place to witness the locals pride in their African heritage. In the state of Pernambuco, also in northeastern Brazil, the city of Recife and the neighbouring colonial city of Olinda, offer a carnaval with a different flavour. With a greater focus on local folklore and culture, celebration here revolve around ‘frevo’ and ‘maracuta’, music and dance that originated in Recife and Pernambuco. There is no competition here, but many groups dancing and playing music, with festivities really kicking off on the Saturday morning in Recife with the Galo de Madrugada bloco. Over in Olinda, there are parades of giant puppets, the leader of which ‘Midnight Man’ was created in 1932, whilst in the evenings, back in the old town of Recife, there are lots of free concerts dotted around as well as plenty of neighbourhood blocos to join. Whilst Carnaval 2018 is already in full swing, for those considering South America holidays for 2019, Carnaval dates are Friday 1 March to Wednesday 6 March. Book an escorted tour to South America with touring specialist Wendy Wu Tours, or tell us all about your dream South America holiday and we’ll tailor-make it just for you. South America carnival, culture, festivals, top things to see. permalink.